Coming up with a name for your restaurant is hard. A common method is to just name your restaurant by what it serves. In Korea this works really well when many restaurants have basically one item on their menu. But what if you want something more sophisticated, something with a bit of a panache? That’s when we name it after a place or person that sounds exotic. So what’s a great name for a restaurant that specialises in pheasant dumplings? Some friends and I traveled down to Pyeongchang last week to enjoy the weather, bike, hike around to celebrate Jo-anna’s birthday. Along the way we stopped by a place for a late breakfast. The combination of the name and the fact I hadn’t yet had pheasant dumplings made this a clear choice. 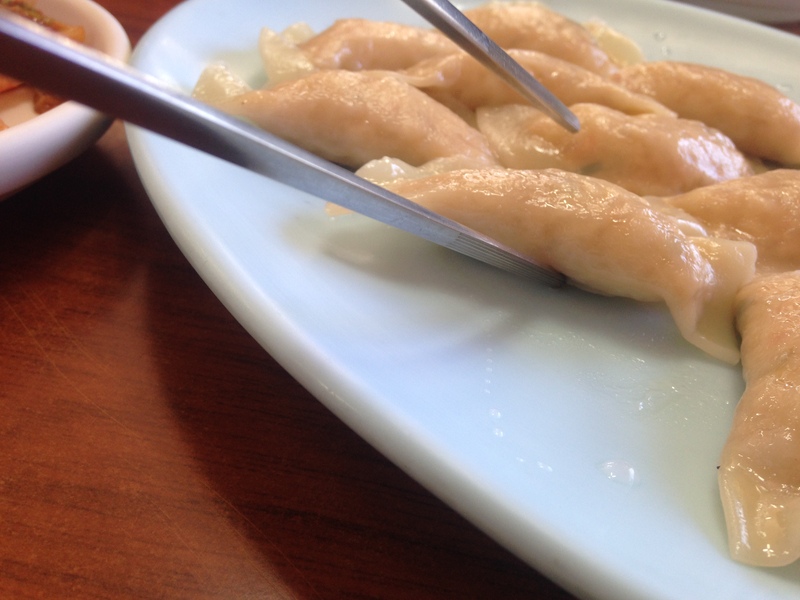 Pheasant dumplings, or Gwong Mandu (꿩만두), are basically mandu made with minced pheasant meat. It’s quite good, but not extraordinarily different or exceptional. If you’ve had Korean styled steamed dumplings you have the basics. That said, they were very good specimens of mandu, so I would still recommend it if you have the chance. Just don’t go out of your way for it. Netherlandia also serves pheasant in fried dumplings (군만두) and my favorite, manduguk. Average dish cost is about 6,000 won. The restaurant also sells homemade wine. Nothing sophisticated, but if you like home made wines, it’s nice and sweet. I made Plum Kimchi yesterday. Gotta say it would be pretty amazing with these Pheasant Dumplings. Would be Local Food for Wales too!